Lexington is located at the junction of I-75 and I-64. Two-thirds of the U.S. population live within a day&apos;s drive of the Horse Capital of the World. 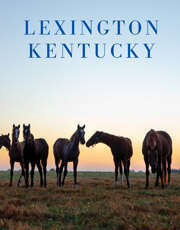 Lexington, Kentucky is also served by U.S. Highways 25, 27, 60 and 68.